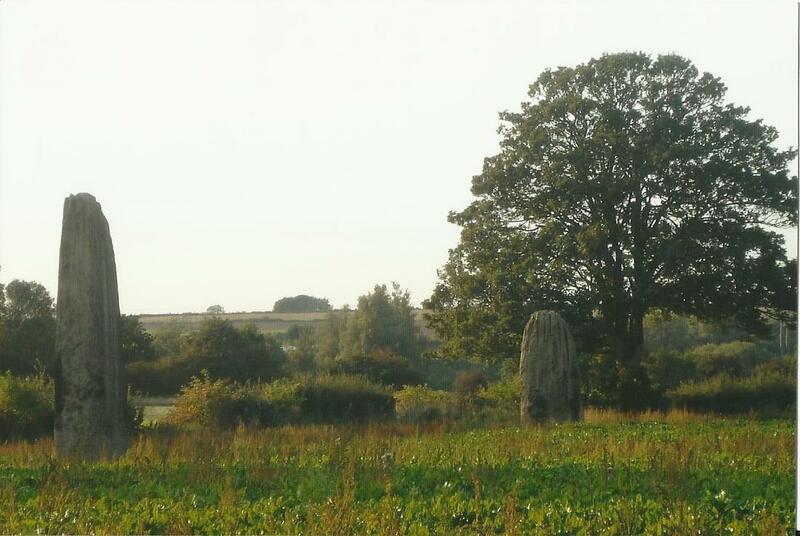 The three millstone grit standing stones probably were erected during the late Neolithic Age. They are almost in line on a north to south axis, 200 and 370 feet apart. The largest is 22 feet 6 inches high with grooves caused by weathering. They were quarried south west of Knaresborough, six miles away.